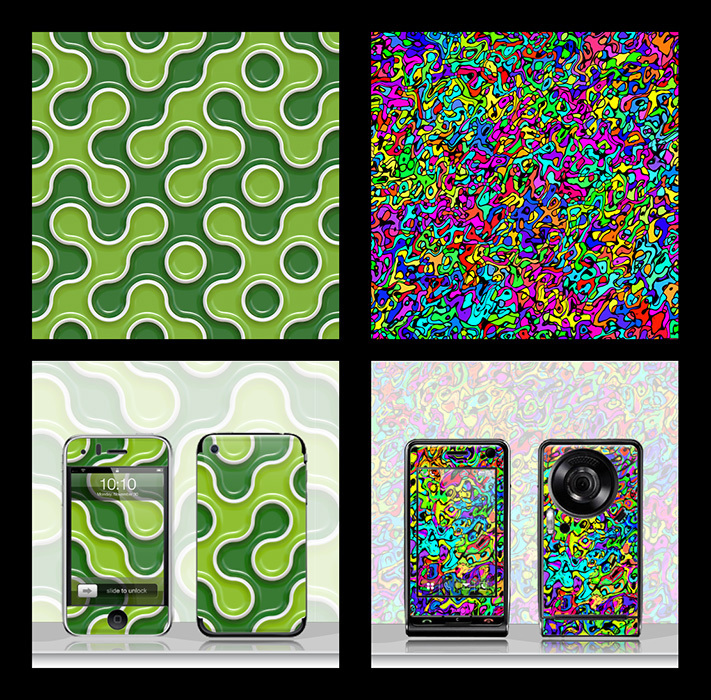 Artwork/Patterns created for display on real world products. These patterns were made for and sold to, the now defunct, Smirkabout.com. SA.com sold tough, adhesive graphics that could be applied to a device and helped protect the device. They also took the artwork and made backgrounds that were perfectly matched to the skins. On the last slide, the T-shirt artwork was designed for Shirt Woot.